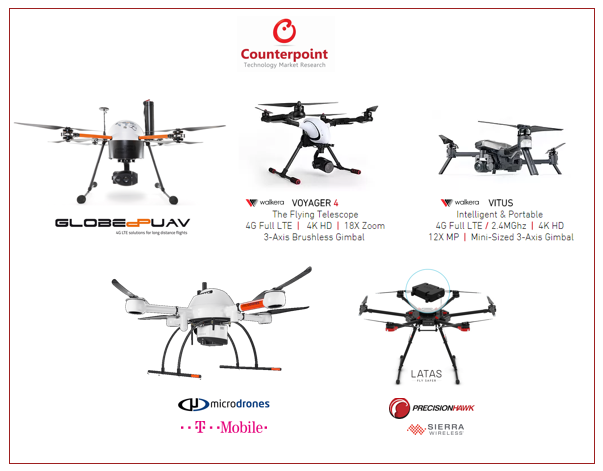 The drone market is expanding due to rise in the number of commercial applications (refer to our previous blog for more details), and cellular connectivity will be essential for emerging use cases like live-video streaming, real-time monitoring, delivery through drones and other beyond visible line of sight (BVLOS) operations (refer to our Drone report for application areas). Cellular connectivity would help in remote identification, tracking flight path and supporting law standards defined by regulatory bodies globally. Further, eSIMs (Embedded Sims) would play an important role in cellular connectivity of drones to mitigate privacy, safety and security concerns. As per our latest forecast, 13% of the drones are going to be equipped with an eSIM by 2022 (refer to the eSim Report for more details). Regulations for basic connectivity to share location, sensor data and analytics. Operators who are increasing their efforts in this direction to add LTE capabilities to drones. Operators are quite serious about LTE capable drones and are working with the DFS (German Aviation Authority), EASA (European Aviation Safety Agency), FAA (Federal Aviation Administration) to leverage LTE connectivity to make drones visible to air traffic controllers, thereby improving aerial safety especially, for TBVOS (True Beyond Visual Line of Sight) commercial applications. LTE connectivity in drones is also a big ARPU play for operators to enable real-time data transfer and analytics. The upcoming commercial use cases would require low latency and high transmission range which can be enabled by a connectivity solution instead of Wi-Fi. Some operators such as T-Mobile Germany, Orange, Vodafone, Verizon have already been trialing LTE-based drones and see eSIM capability as a natural implementation path. Vodafone is working in collaboration with EASA to conduct trials for an air traffic control system for drones to avoid collision with planes. For this, the drones would be embedded with a 4G modem and a SIM that would track them accurately up to 50 meters. The technology, if successful, would enable protective geofencing to avoid accidental situations (under Beyond Visible Line of Sight operations) and entry into no-fly zones. T-Mobile Germany has also partnered with Microdrones in cooperation with DFS to improve aerial safety, specifically for commercial operations. Verizon has partnered with DeDrone for exactly the same reasons – to detect, classify and mitigate any drone related potential threats in real-time. We expect regulations to come into place in the near future for cellular connectivity in drones to mitigate privacy, safety and security concerns. 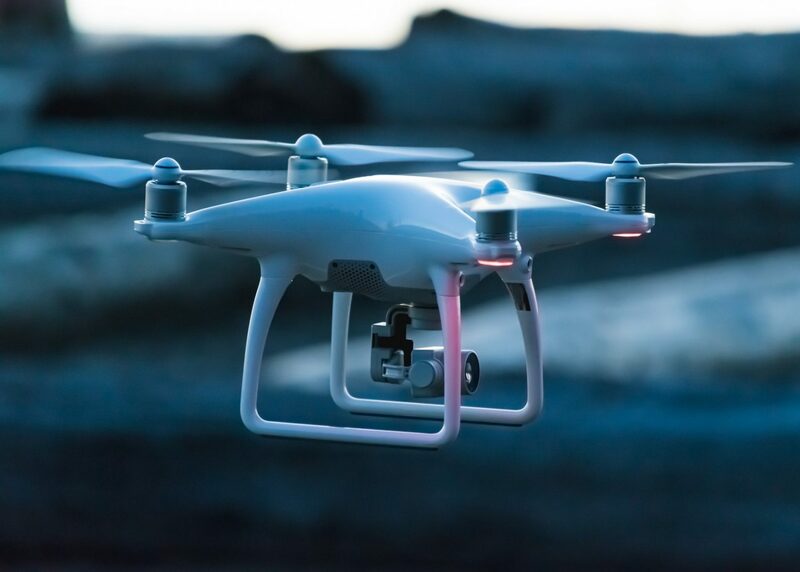 The European Aviation Safety Agency (EASA) is proposing a regulatory framework for technical and operational requirements of drones. The technical requirements entail remote identification of drones. Discussions are going on regarding Drone Identification module under SC 17 standard (developed by ISO) to insert eSIMs to monitor drones. 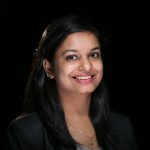 The cellular based connectivity would enable sending ID and location via LTE network for incident tracking which is expected to drive e-Sim adoption. This will be the first and foremost step towards embedded connectivity within drones. Greater ARPU from real-time data transfer is going to be the next step as those use-cases could be a bit resource intensive and will have significant implications on performance (e.g. battery life). This is one of the reasons, DJI has still not fully committed to add LTE connectivity even to commercial drones for live video streaming use-cases but 5G could change things in a few years (Refer to our 5G Forecast for more details).